Andreas Weigend studies people and the data they create and share. He works with companies that are eager to develop strategies to realize the untapped power of data. Clients include Alibaba, Best Buy, Lufthansa, Match.com, Nokia, Thomson Reuters, and the World Economic Forum. He also advises exciting startups around the globe, and as a partner with Open-First, helps organizations absorb relevant insights based on data, mobile and social technologies. Previously, as the Chief Scientist of Amazon.com, he helped build the customer-centric and measurement-focused culture central to Amazon’s success. His goal is to guide his clients to understand the evolving landscape of consumer behaviour and unprecedented data to identify new business opportunities. The results of his work inform the design of innovative products, visionary business models, and change the way business leaders perceive the social data revolution and the future of relationships. Through corporate seminars, brainstorming sessions, workshops, and individual mentoring, he works with clients to define user-centric metrics, design experiments, build predictive models, and invent incentives that inspire users to participate and share data, resulting in new products and business models. 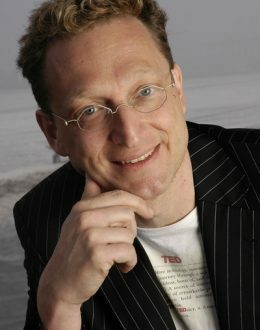 Andreas teaches at Stanford and shares his insights at top conferences, such as the World Innovation Forum 2010 in New York. Known as a lively and engaging speaker, his main goal is to challenge the minds of the audience, helping them understand how the Social Data Revolution changes the behavior of people, companies, and society. He also gives speeches and workshops to the world’s most innovative firms that combine cutting-edge ideas with his expertise on behavioral economics and vision for consumer-enabling technologies. Andreas received his undergraduate education in Germany and Cambridge (UK), and his Ph.D. in physics from Stanford University. He taught Computer Science and Cognitive Science at the University of Colorado at Boulder, and Information Systems at the Stern School of Business at NYU and published more than 100 scientific papers. His career as a data scientist combined with his deep industry experience across information-intensive organizations allows him to successfully bridge the gap between academia and industry.